Bulletproof Curcumin Max contains a unique blend of turmeric extract, ginger, Boswellia resin and Stephania root extract, dissolved in Brain Octane. 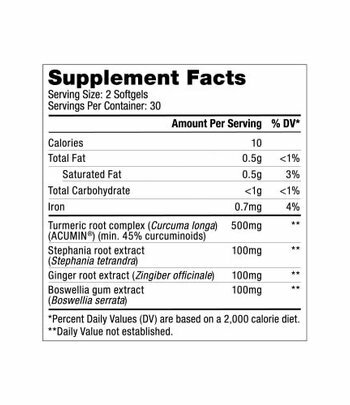 The turmeric extract alone ensures a 10x higher uptake of curcumin. Turmeric (Curcuma longa) is one of the most powerful currently known spices. A large amount of scientific research supports the benefits of turmeric and studies are still ongoing. Particular attention is paid to curcumin, the most important active compound in turmeric. The best-known benefits of curcumin are its antioxidant activity, support of the immune system and keeping joints supple. In addition, curcumin supports the heart and blood vessels. Curcumin supplements have one major disadvantage. Curcumin is poorly absorbed in the intestines and is quickly broken down by the liver, causing it to work only briefly in the body. Bulletproof improves the availability of curcumin with herbs, fats & oils. Bulletproof uses Acumin®, a patented extract of turmeric. Acumin® contains curcumin (at least 45% curcuminoids) supplemented by more than 200 other beneficial compounds from turmeric that contribute to the absorption and action of curcumin in the body. According to a clinical study by Aurea Biolabs, the patent holder of Acumin, the curcumin from Acumin® is absorbed 10 times better than that from a standard 95% curcumin extract. Ginger (Zingiber officinale) is closely related to turmeric and has some of the same health benefits as turmeric. Ginger supports the immune system, heart and digestion and has antioxidant properties. Boswellia serrata is an Indian herb that is also called Indian frankincense. The resin of this plant supports the heart and keeps joints supple, just like curcumin. Boswellia also contributes to normal mental performance and digestion. Stephania tetrandra is a herb originating from China and Taiwan. Although less known in Europe, it is an important traditional herb in China. The four main ingredients are fat-soluble. Bulletproof has therefore dissolved this in Brain Octane C8 coconut MCT oil. MCT oil is easily absorbed, which also facilitates the uptake of the active compounds dissolved within. Packaging the supplements in a softgel masks the pronounced spicy taste of the ingredients better than packaging them in powdered capsules. Less spicy taste compared to turmeric extracts in powder form. 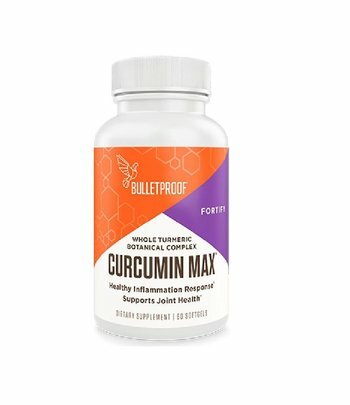 Take two softgels Bulletproof Curcumin Max daily with a meal. 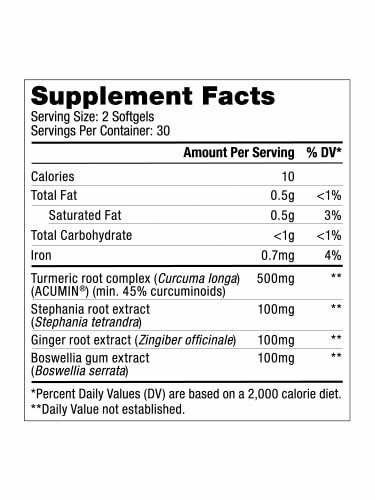 One pack of Bulletproof Curcumin Max contains 60 softgels, sufficient for 30 days. Other ingredients: Brain Octane® oil (caprylic acid triglycerides from highly refined coconut oil), gelatin, glycerin, purified water, yellow beeswax, sunflower lecithin, zinc oxide, coloured with turmeric. 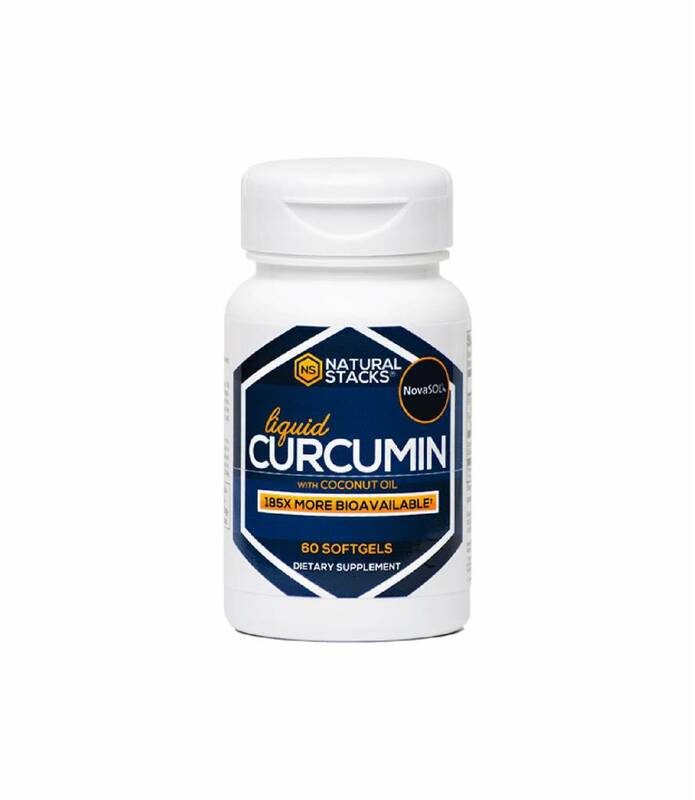 Bulletproof Curcumin Max is a food supplement in the category of herbal preparation. 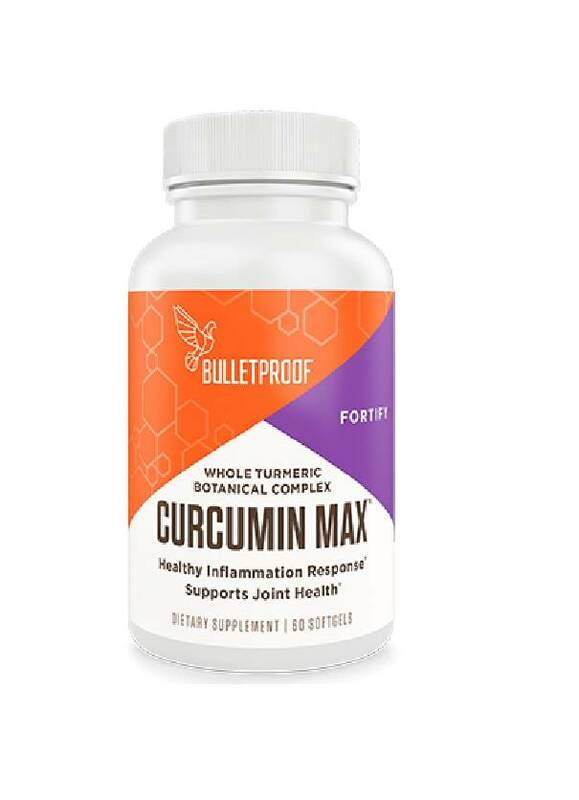 Bulletproof Curcumin Max is a dietary supplement and is no substitute for a varied and balanced diet and/or healthy lifestyle. Do not use if the package seal is damaged at the time of purchase. Consult your doctor first if you are being treated for a medical condition, if you are pregnant or breastfeeding.